On March 7-8, 2017, Google helped to host the very first AMP Conference. AMP, of course, stands for Accelerated Mobile Pages — the open source mobile technology project endorsed (and largely created by) Google. 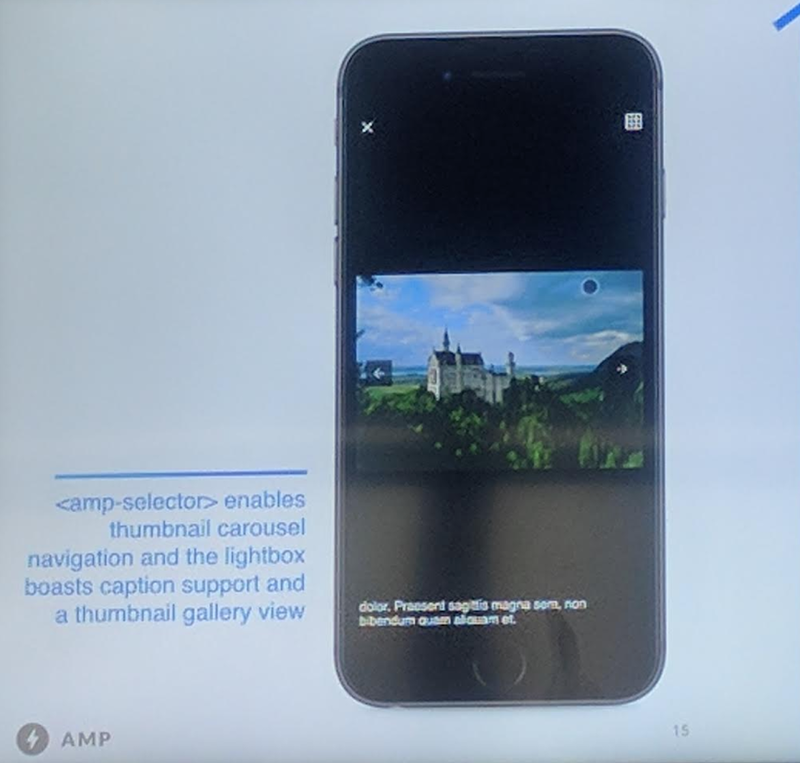 The Google AMP Conference was designed to be an event for developers to come together to learn and share information about the AMP project, it’s progress, and the roadmap for the future. Google made several major announcements at the conference and there was some really interesting information shared by several third parties. 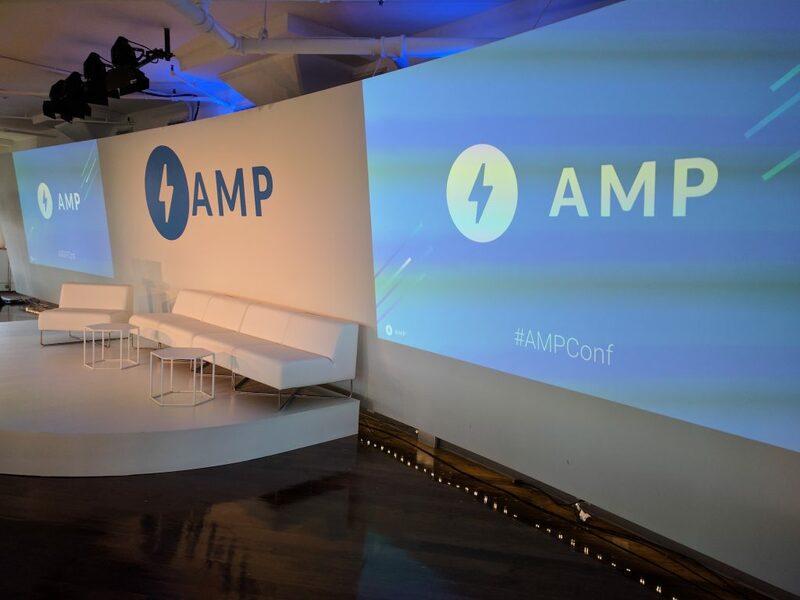 Below, I’ll update you on the AMP road map, major news from the conference, and what this means for sites that hope to leverage AMP successfully in the future. There was no world-shattering news released at the Google AMP Conference; rather a lot of little details that emerged regarding the evolution and direction of the open source mobile project. This included everything from progress updates to new features and functions available within the technology. The most publicized news of the event was Google’s announced partnership with Asian search kingpins Baidu and Sogou. Google claims this will bring approximately 90% of this region’s mobile search traffic into the AMP fold. The takeaway from this is the traction of the AMP technology. When Google first announced the AMP project, I think most digital publishers and developers were skeptical of how widespread the mobile technology would actually become. However, Google’s persistence and development of AMP Project partners had led us to a climate that seems to support a full-steam-ahead approach to accelerated mobile pages. 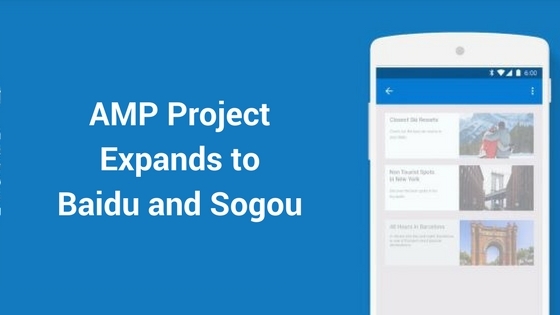 Aside from the announcement of new international platform partners, Google further emphasized the value and importance of trusted and proven technology partners inside the AMP Project. Above you can see a list of CMS, commerce, integration, and video partners Google chose to highlight on the first day of the conference. Ultimately, the Google AMP Conference is supposed to be a collaboration just like the AMP Project. This is a message Google delivered loud and clear. However, many partners still have their guards up. Although the AMP Project is the brainchild of Google, it has been truly structured as open-source project. Regardless, the AMP Conference still had to be organized and largely built-out by the Google team. It will be interesting to see how this dynamic might diverge in the future. If other technology partners choose to take control and leadership over the conference — and even the entire AMP Project — in the future, how will Google respond? Most probably would agree that Google would not be completely satisfied seeing their valued community mobile project completely leave their control. However, the reality is that it is unlikely to happen, and Google will probably continue to drive many of the project events and efforts moving forward. To read more about actual publisher results with AMP you can read this in-depth review here. For those that have a fair understanding of the current evolution of the AMP Project, you might not find anything on the roadmap overly surprising; however, an emphasis on e-commerce was beyond what I expected. 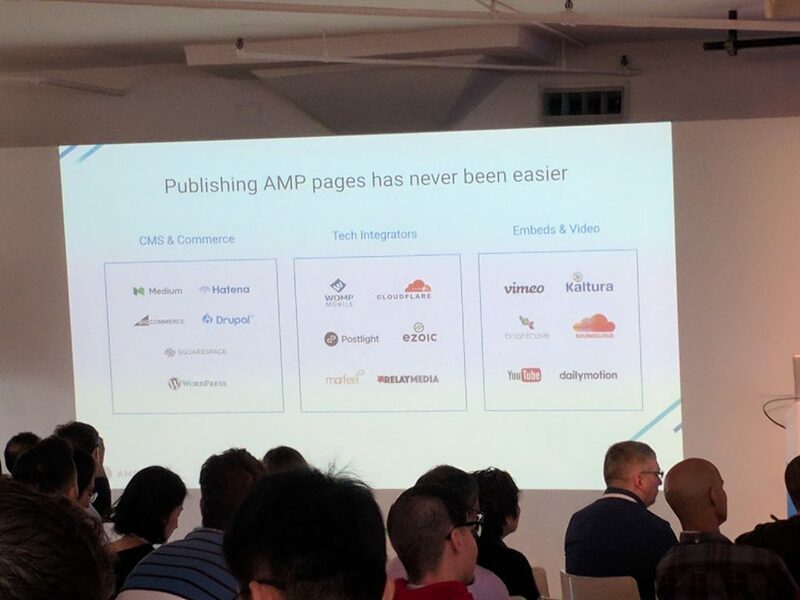 Now that AMP is expanding, a big push from Google’s end is towards e-commerce. Many of these e-commerce discussions centered around session stitching and payment integrations. 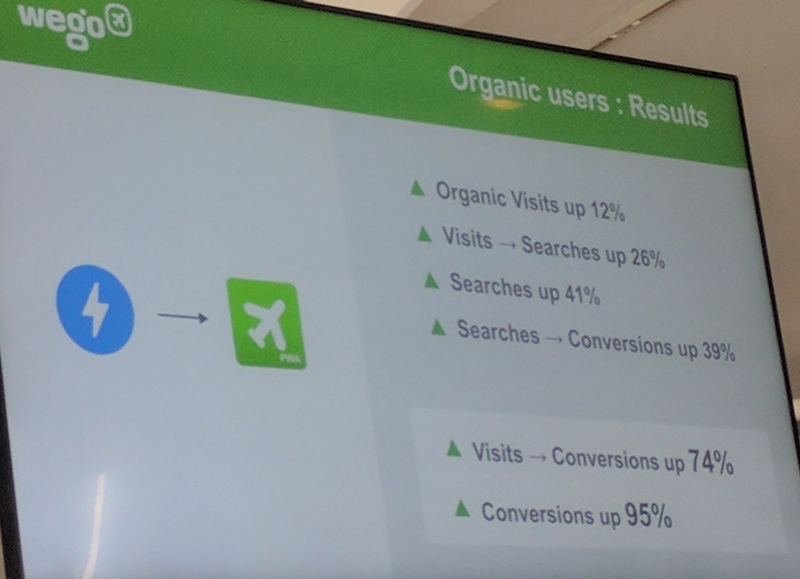 Presentations from eBay and Eventbrite led the way; as some of these properties were in the process of testing AMP in this capacity. 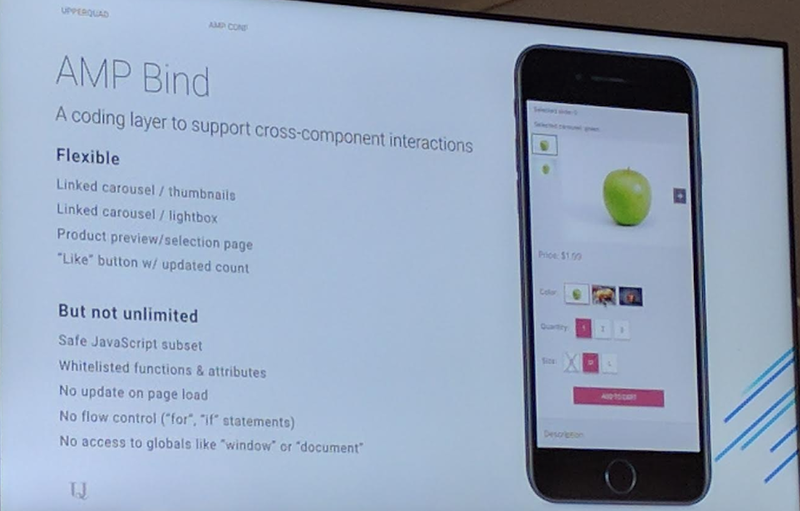 Google’s answer for e-commerce is called AMP Bind. You can see a summary slide of it above. 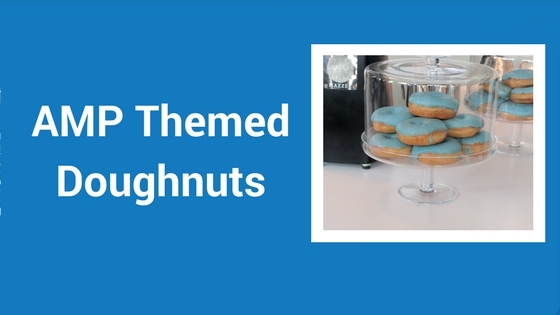 Think of the news carousel, but made for e-commerce. Many of the discussions around ads inside AMP seemed to focus on improving ad load time; however, this is something that some of the technology partners had already seemed to solve. The difficult proposition for publishers still remains the single tag issue inside AMP; which only allows publishers to use one ad provider (unless they leverage a partner that allows publishers to keep their existing mobile ad demand). This seems to be evolving quickly and is an area that I believe Google wants to see technology partners step in to help publishers. Google reluctantly recognizes that digital publishers see ad revenue outside of Google AdSense and Ad Exchange. Lastly, video and rich media on AMP were a part of the roadmap. This is something Google would like to see improve. This was geared towards branded AMP experiences and not necessarily relevant to most digital publishers. 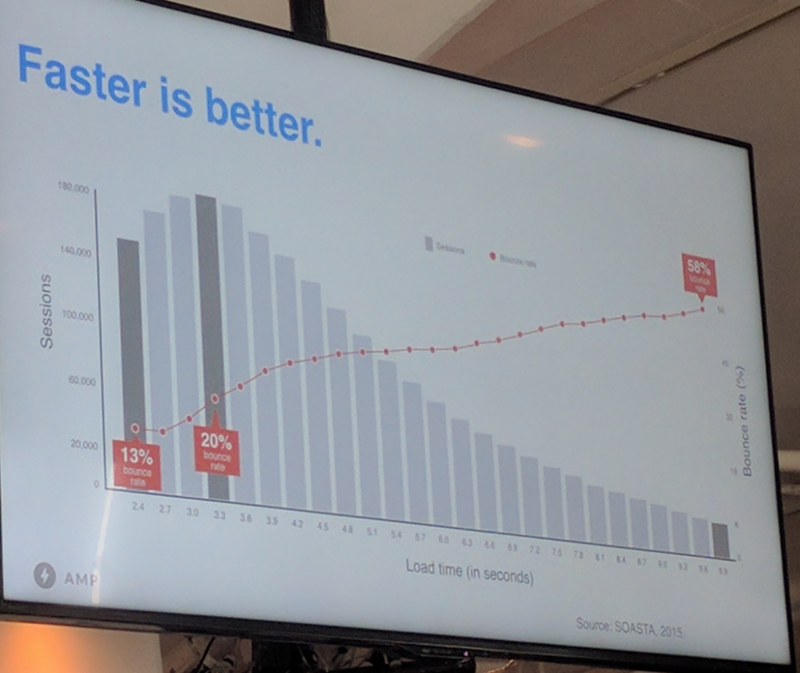 This we know, and above you can see a slide that demonstrates Google’s most updated research on page speed, bounce rates, and more. 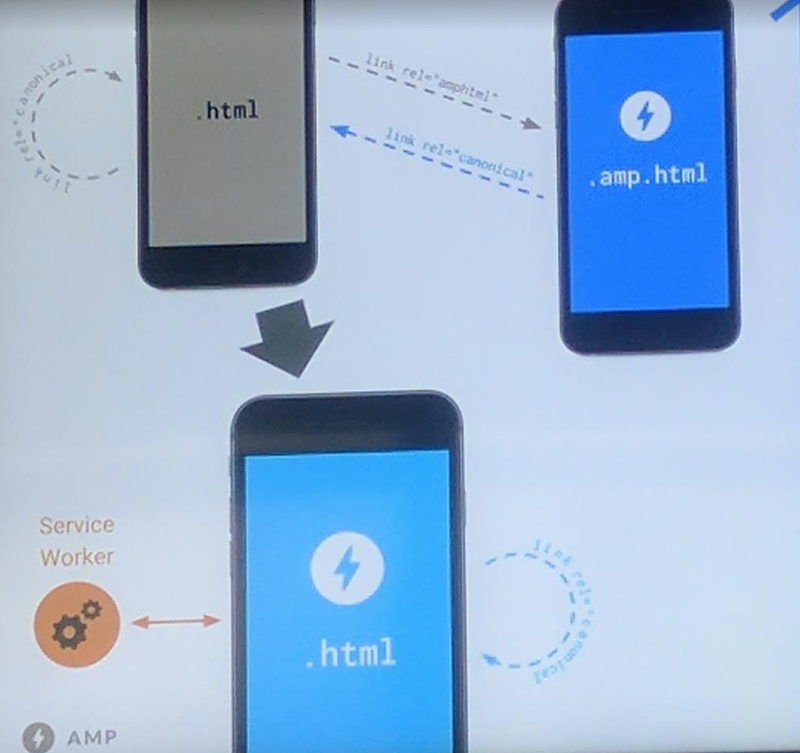 Progressive web apps seemed to be a pretty hot topic at the Google AMP Conference. This was something we noted would be a big trend this year in our 2017 trend predictions. The early presentations on PWA’s were not that exciting. 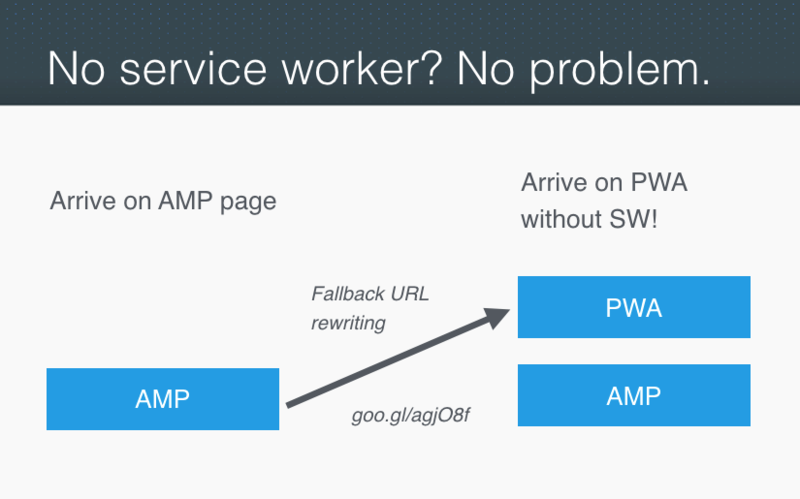 They focused on what PWA’s were and how they can co-exist with AMP. PWA’s were mentioned in the key discussions for day 2. There was a bit of discussion about where they might fit into the ecosystem along with AMP. As a reminder progressive web apps came to replace the high costs of developing native apps on mobile devices (forcing publishers to push users to download an app from an app store). They appear on our phone screen with an icon and have the ability to push notifications, work offline etc. One thing that was clear was that many websites won’t ever need things beyond the boundaries of what AMP can normally provide. In many instances, services worked can help provide caching for offline access and this is enough for most publishers. When you need a dramatically different PWA experience for your content, it may require a bit more of technical setup that would provide more native app functions inside of existing AMP infrastructure to create a true PWA to expand more complex functionality. 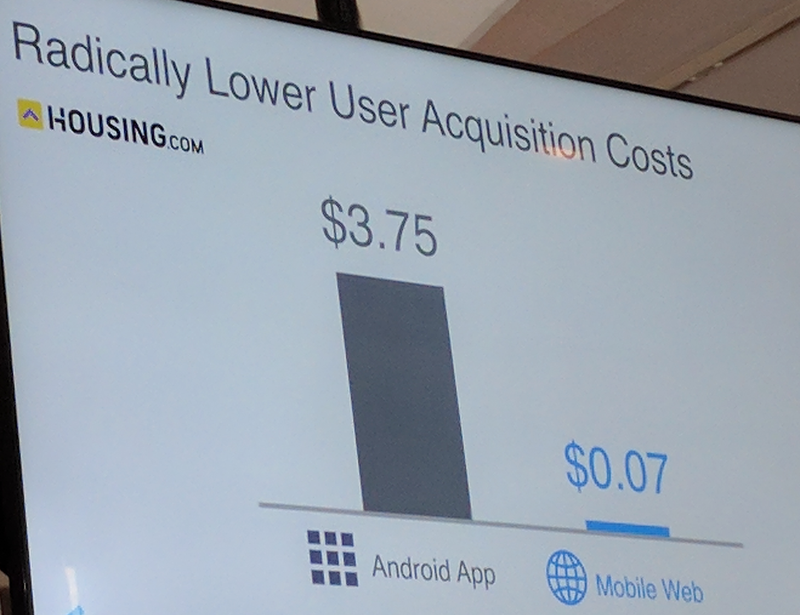 Housing.com shared their findings on user acquisition costs comparing the native apps to PWA’s. They appeared to show that costs were much lower with PWA’s. They also suggested that development costs are generally thought to be lower on PWAs. 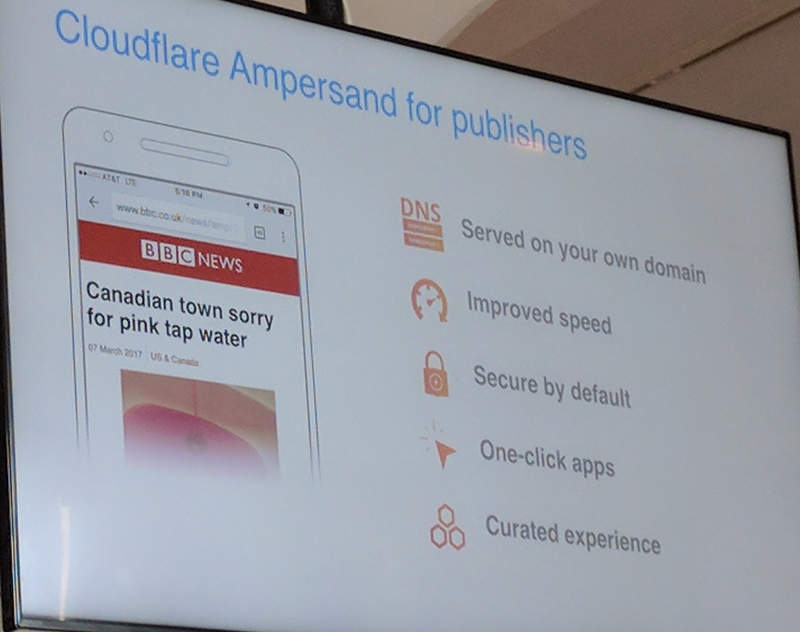 CloudFlare announced their Ampersand solution for publishers – AMP sites with the ability to cache non-Google traffic. CEO, Matthew Prince, also discussed the problem that the AMP world is currently driven primarily by Google traffic and the online ecosystem has to drive other sources of traffic to AMP. He talked about a new solution they have with some of their partners called AML (Advanced Mobile links) which would allow sites to place these links almost as native referrals to drive AMP traffic. 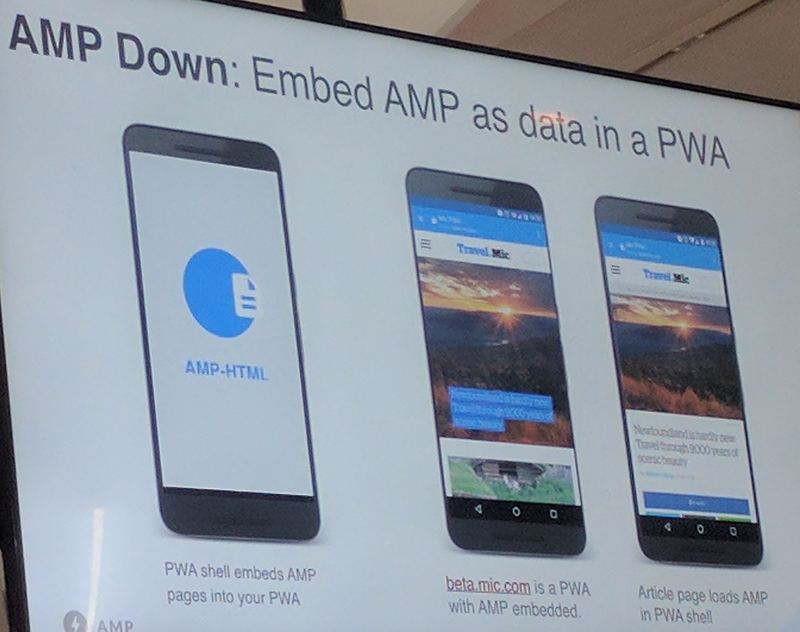 So what’s the future of AMP & PWA’s? So what is the future? The big picture — as explained by Google — looked something like this. 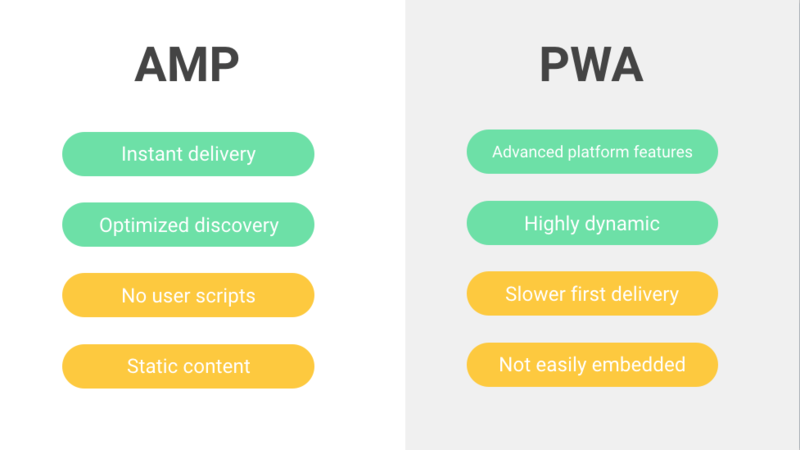 PWA shells will embed the AMP site so you can gain the benefits of both. This is called AMP Down. (there is another method called AMP UP). Below, you can see an example from Wego (focuses on mobile experiences in markets with challenging network connections) of how this works out. Like I said in the beginning, there weren’t any earth-shattering announcements at the conference but there was a lot to learn. This technology is evolving at a rapid pace — and is adapting to equally fast-changing shifts in mobile user behavior. What were your thoughts on the conference? Was anything confusing to you? Have any questions? Did we leave something out? Hit me up in the comments section and I’ll answer anything I can.